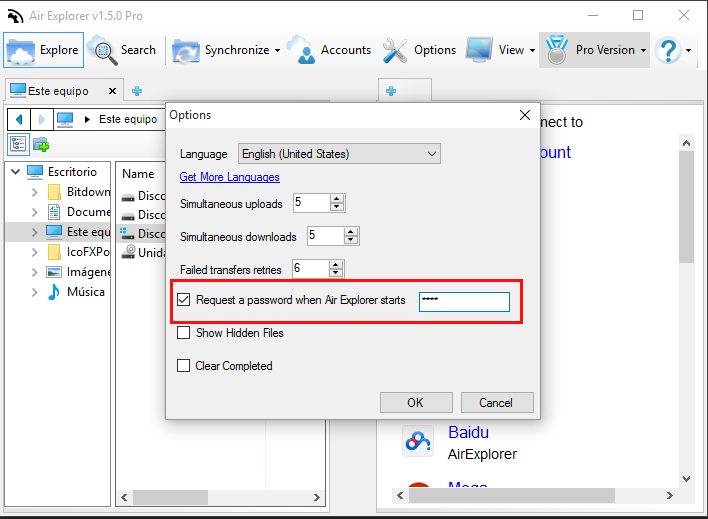 Air Explorer gives you the option to protect your program with a password. Open the Options Window, check “Request a password when Air Explorer starts” and write the password. Then, when you open the program, it will require a password. Keep your password in a safe place. If you lose or forget the password, it can’t be recovered. Air Explorer Options give you the oportunity of change the simultaneous uploads and downloads. 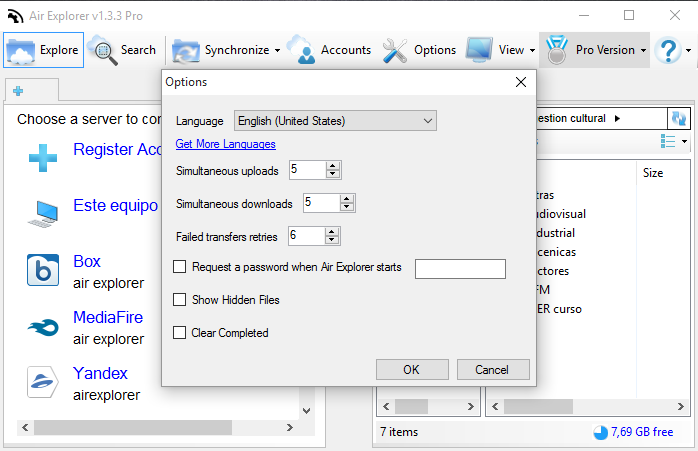 Air Explorer has a default to allow you to download and upload 5 items at the same time. Changing this, is not as simple as going into Options and changing a setting. In some cases, depending on your connection or the server, increasing the number of simultaneous downloads and uploads will increase the global speed but, if you reach your connection limit it could go even slower or affect you browser speed. We advise you to try different values to get the best permormance for your connection.